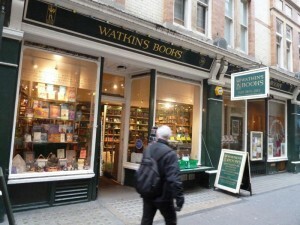 Watkin’s Books — the world’s most famous mind-body-spirit bookstore — nearly went under in 2010. A 21st-century business strategy and an American with vision saved it from extinction. LONDON: You wouldn’t expect the owner of London’s –- if not the world’s -– most famous mind-body-spirit bookshop, Watkins, in Cecil Court, a Victorian walkway off Charing Cross Road, to be conventional, and Etan Ilfeld doesn’t disappoint. For a start, this 33-year-old entrepreneur is nocturnal. This isn’t a glib description; it’s true. Despite living in the UK, he still keeps to his native US time, going to bed around 4:00 or 4:30 a.m. and beginning his working day in the afternoon. 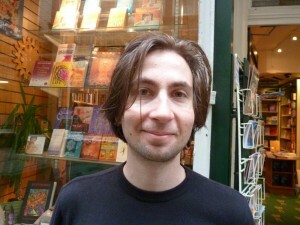 He is also a semi-professional chess-player (how many of those are there in the books business? ), a film-maker and an artist. More importantly, he is the man who saved Watkins Bookshop from closure a year ago and who is now firmly committed to taking it into the world of digital while still maintaining its bricks and mortar presence. To which Yeats would surely raise a glass, or two. DISCUSS: Can Niche Bookstores Survive in the Age of Digital?